So much of life is about taking risks. Sometimes, risks lead you to dreams and destinations you never knew existed. Other times, risks lead to tears--to failure--to heartache and physical trauma. Sometimes, risks lead you to death. 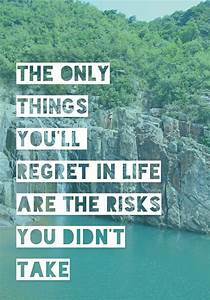 The hard part about taking risks is trying to limit the regrets. I took a HUGE risk this week. I'm shaking inside just thinking about it. I'm uncertain and fearful of the outcome, and yet, I pressed forward with the decision. The last few years have consisted of me taking risk after risk, hoping for the best and praying for comfort through the turmoil of uncertainty. The years have consisted of me pressing forward, despite my fears of failure. Some of the pressing led to beautiful moments, life-changing relationships, and wild career turns. Right now, however, I need comfort. The uncertainty is much too much and I, often, get so close to throwing in the towel. Yet, I'm addicted to never giving up on the possibility of a possibility--on the risks that could potentially lead to the joy and fulfillment I desire. So much about life is taking risk. I'm just tryna balance the beauty with the failure. "You Have Such A Gift."